It can be a visually stunning way of presenting information, this new tool called Flipboard. Randy Seaver of Genea-Musings has used it to put together three attractive magazines: Randy at RootsTech 2014, Genea-Musings at RootsTech 2013, and a truly gorgeous tribute to his mother, Betty Virginia (Carringer) Seaver, entitled Betty’s Life. Caroline Pointer of 4yourfamilystory.com — the author of all those wonderful Genealogy Things You Need to Know This Morning — has a Flipboard magazine out with tips to Power Your Genealogy Research with Technology. Lisa Louise Cooke of Lisa Louise Cooke’s Genealogy Gems has a Flipboard magazine out on Using Historic Maps for Genealogy and Family History. Diane Acey Richard, who writes the UpFront with NGS blog, tested it out yesterday, putting together a quick magazine called Upfront with NGS. It’s slick, it’s easy to use, it’s graphically pleasing. Not only will Flipboard walk away from any sharing of responsibility with you, it makes you agree to pay its expenses — including legal fees — if any third party sues Flipboard because of a magazine you’ve produced. 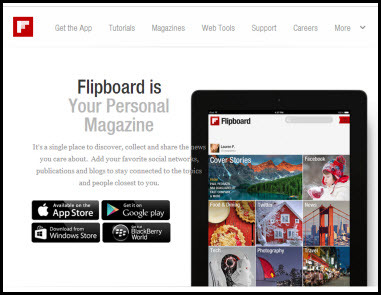 In short, as a reader of Flipboard magazines, you’re on your own. Period. It means that the only content you should include in a Flipboard magazine is content you produce (something you write, photos you take) or that you’re 100% sure is free of copyright concerns. And if it’s something else, and you really want to include it? You absolutely can never go wrong asking for permission. I’m hoping more folks WILL read them now, Denise. It’s all I can do. I haven’t used Flipboard, but I do use Pinterest. Great food for thought here. Thanks for your excellent post.